A few years ago,this delightful village on the edge of Dartmoor stepped into the limelight when scenes of 'War Horse' were filmed near by. You can discover more about the event in the Royal Oak Inn. This delightful but quite strenuous pub walk follows public footpaths and lanes and part of the Drakes Trail. A From the small car park area head south along a public footpath. B You cross Devonport Leat constructed in the late 18th century to supply Plymouth dockyards with fresh water. Lower down you will notice remains of Drakes Leat which St Francis Drake encouraged to be built 2 centuries earlier . C At the lane turn right ; at the next junction turn left then after 160m turn right into a small lane that descends into Meavy. Notice the old oak. It is believed to have been planted 900 years ago when the church was built . D In Meavy turn left & continue until you reach Meavy's primary school. 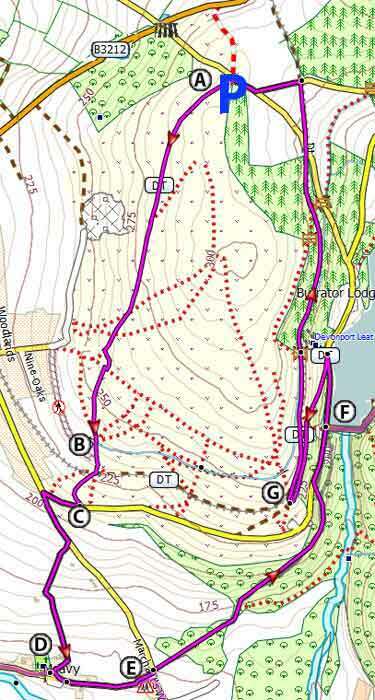 E Turn left at the T junction then almost immediately right into a track/footpath which leads to Burrator Reservoir. When joining a lane follow it to the reservoir. F On reaching the reservoir continue with the lake on your right. After 320 m take a path on left. From here it is a steady climb to the car park. G After 80 m take a path right. There is an earlier path on right you can take ,but it is quite steep. Follow this path until you join a lane,turn left to return to car park. Please note:there are some steep stretches. 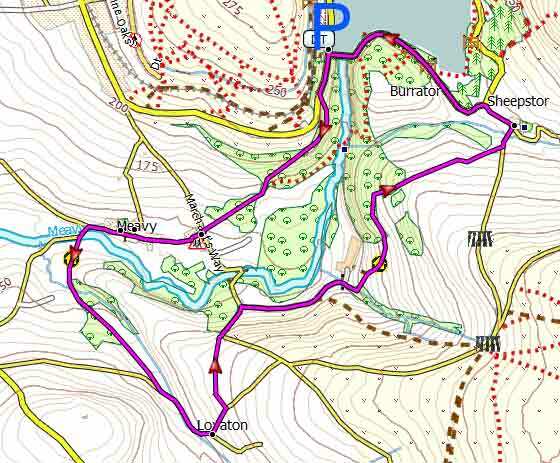 Walk 1 to Meavy and Burrator Reservoir. An equally pleasant and fairly easy (pub) walk into Meavy. 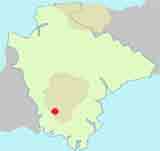 You return via Sheepstor village and along Burrator Reservoir. Walk 2 to Meavy from Burrator Reservoir.